Surely Apple is furious as not even a day after the iPhone 5 launched the device is jailbroken. 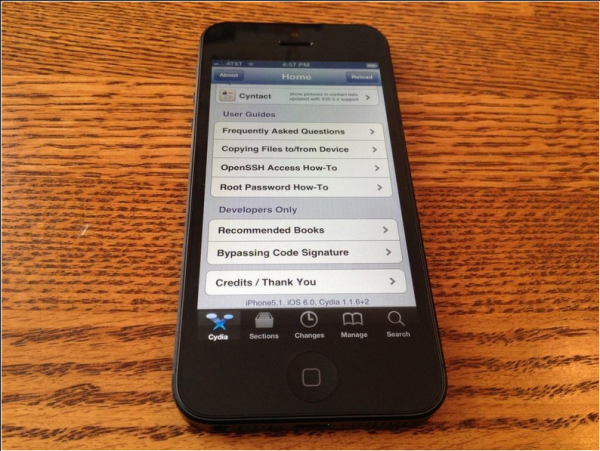 On his Twitter account Grant Paul posted a photo of an iPhone 5 with Cydia trumping on the screen, indicating that the device is jailbroken. But hold your horses, as the details are scarce at the moment and no date has been provided by the developer as to when or if the jailbreak will be publicly available. But one thing is for certain -- as it stands the new iPhone is not unhackable (for the lack of a better word), and the jailbreak will be able to turn it from a run of the mill iPhone 5 into a more powerful device.